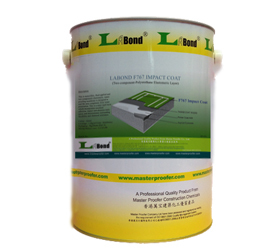 Impacthane F767 is two components with high performance self-smoothing waterproofing membrane which is an ideal waterproof flooring layer with good impact resistant properties. This polyurethane membrane system is for the use of roof, sport and track fields, which are need to have long life under various conditions and strong weather resistance. This system offers to reduce injury of the athlete and particular sport-related properties such as low energy loss and optimal sliding behavior.